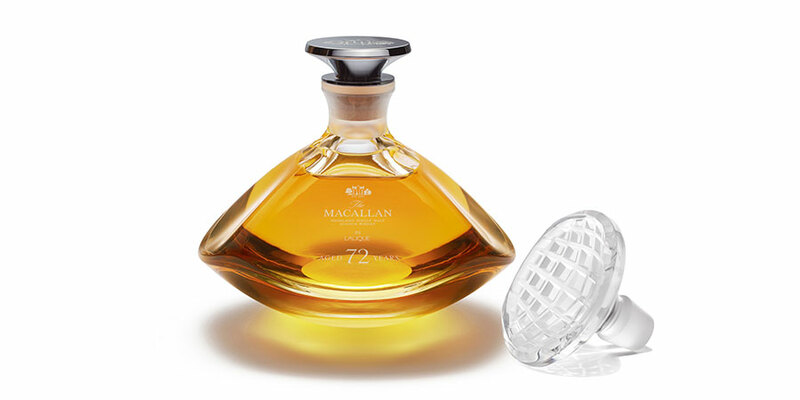 The Macallan has introduced The Macallan 72 Years Old in Lalique - The Genesis Decanter - a remarkable new limited edition whisky to celebrate the new Macallan Distillery and Visitor Experience. 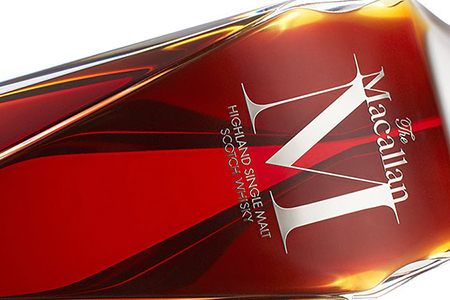 The Genesis Decanter contains the oldest whisky ever released by the Distillery to celebrate a seminal moment in the history of The Macallan. 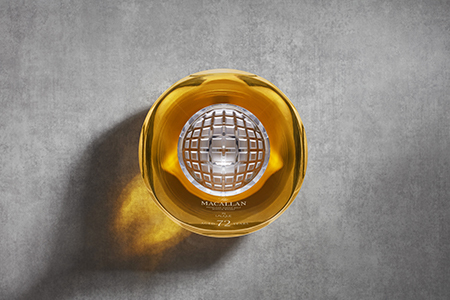 The Macallan 72 Years Old in Lalique is inspired by and honours a new dawn, defined by a truly magnificent architectural masterpiece. 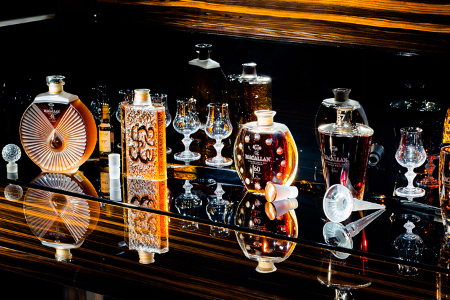 Presented in a bespoke crystal decanter handcrafted by Lalique, it is a celebration of the collaboration of masters from across the fields of whisky, crystal, architecture, construction and craftsmanship and marks a new beginning in The Macallan story. 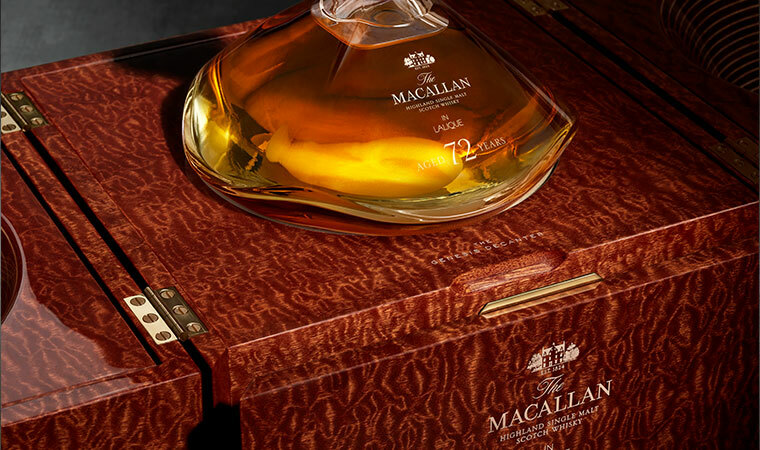 Sunday 2nd April 2017 saw the sale of the extraordinary Macallan in Lalique Legacy Collection – a set of six stunning crystal decanters containing the rarest of The Macallan’s single malts aged from 50 to 65 years old – for US$993,000 at Sotheby’s in Hong Kong. 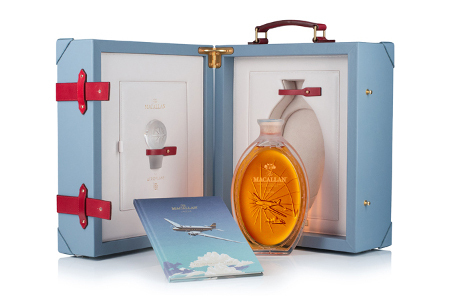 The Macallan’s latest collaboration with Lalique is The Macallan Golden Age of Travel, a release that re-lives the glamour of the 1930s and celebrates the first era of international travel by road, rail, air, and by sea. 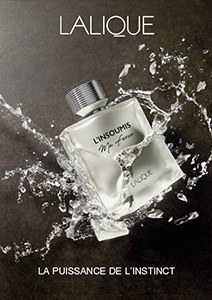 An exquisite creation born of a collaboration between three masters: The Macallan, the designer Fabien Baron & Lalique. 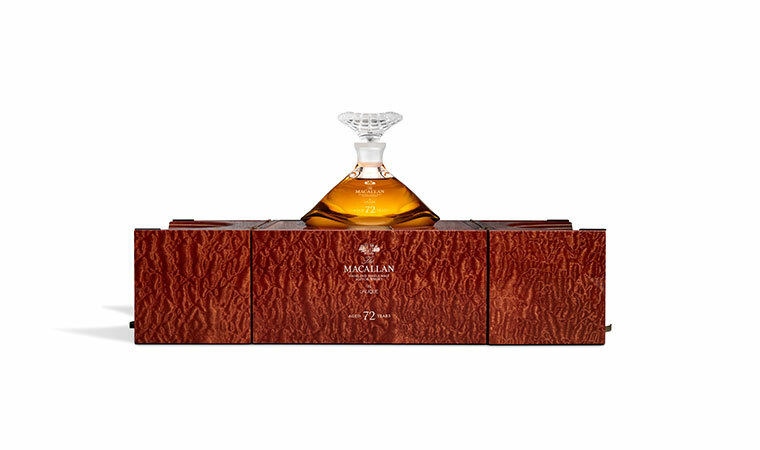 The Macallan has introduced The Macallan 72 Years Old in Lalique - The Genesis Decanter - a remarkable new limited edition whisky to celebrate the new Macallan Distillery and Visitor Experience. 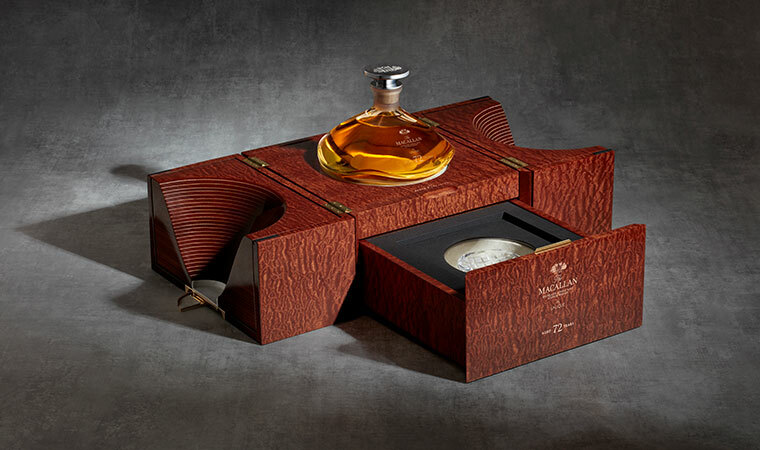 The Genesis Decanter is the oldest whisky ever released by the Distillery to celebrate a seminal moment in the history of The Macallan.